This recently refurbished El Born apartment sleeping up to 4 people across two bedrooms is located in the centre of Barcelona just 10m from Passeig del Born. 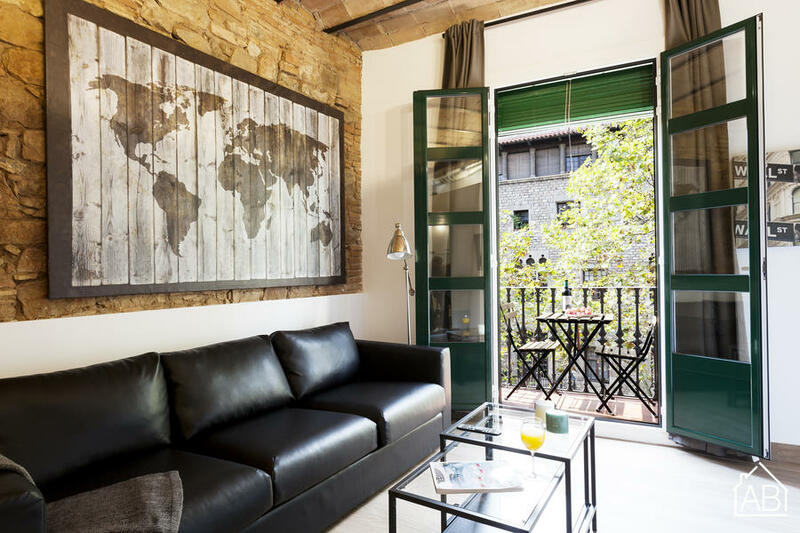 This area is just a few minutes from the heart of Barcelona, Plaça Catalunya, and the beach area of Barceloneta. Known for its boutique shops and café culture, El Born is one of the trendiest areas of Barcelona. Nearby to the apartment you will find many fantastic cafés, bars, restaurants and a number of supermarkets for your convenience. The apartment has a balcony and benefits from plenty of natural light. It is equipped with all the necessary amenities for a comfortable stay. The kitchen comes complete with a coffee machine, kettle, microwave, toaster and pots and pans, whilst a washing machine, TV, internet, iron and ironing board make you feel at home. With central heating and air conditioning, this apartment is a perfect choice for any time of the year.